Roach Newton’s appellate expertise isn’t limited to application in the appellate courts. Trial Strategy and Pre-trial assistance: Even before a case is filed, Roach Newton can provide valuable strategic assistance. Once litigation has begun, our attorneys’ appellate experience can support trial counsel’s efforts by drafting dispositive motions, preserving arguments for appeal, and preparing jury charges. Post-Verdict Motions: Roach & Newton can help ensure persuasive arguments are presented in post-verdict motions. Our attorneys have successfully had verdicts set aside, obtained new trials, or received a reduction of the amount of damages in a judgment through post-verdict motion practice. 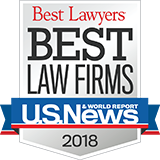 Advising major refining company facing a multi-billion dollar loss on pre-suit litigation strategy and insurance coverage issues, then executing that strategy with a team of national law firms. Coordinating with and supporting trial counsel in multi-million dollar defamation suit to preserve error, prepare and argue jury charge, prepare post-verdict motions, and prepare for appeal–allowing trying counsel to focus on the presentation of the evidence at trial.